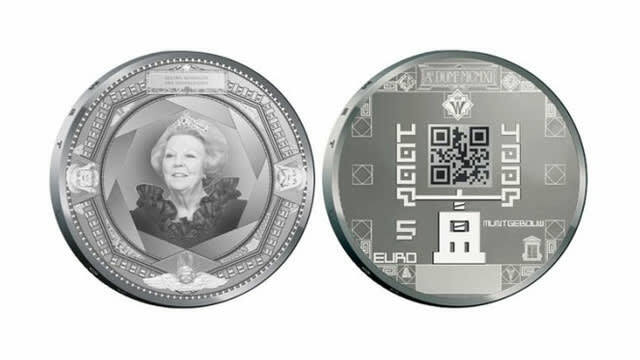 For the 100th Anniversary of the Royal Dutch Mint, the Dutch are creating the first batch of coins to feature QR Codes printed on the back. On June 22nd, collectors lucky enough to snag one of the coins, which will come in 5 and 10 euro denominations, can snap a pick with their smartphone and get directed to a special website that will reveal... something. It&apos;s not yet clear. Those Dutch-- always holding coin collectors in suspense.